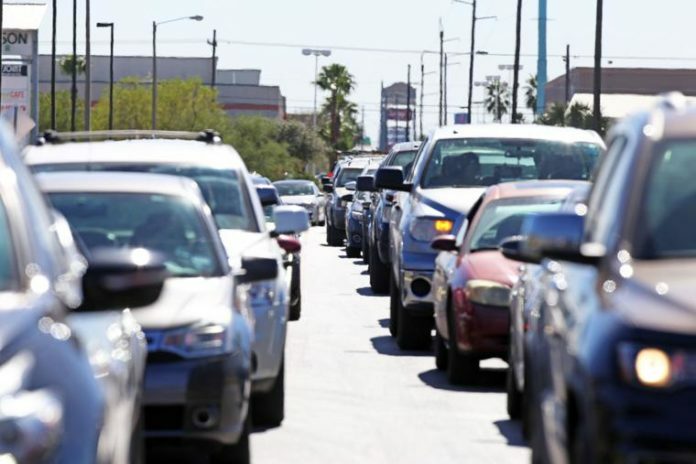 Cameron County and Brownsville commissioners on Tuesday put their support behind a merger of the three Rio Grande Valley organizations that handle transportation planning in their respective areas. It’s a move officials said would make the region eligible for far more state transportation funding and impact economic growth for generations. The Commissioners Court voted to approve a resolution in favor of joining the Brownsville, Harlingen-San Benito and Hidalgo County metropolitan planning organizations. Commissioners’ support is contingent on their review of a finalized agreement between the MPOs. Trevino said the merger would give the Rio Grande Valley the fifth-largest MPO in Texas. That would make the region eligible for a pot of money containing 83 percent of Texas Department of Transportation funding, he explained, compared to the 17 percent of money it competes for now. “We would be at a completely different buffet table that we’ve been at before,” he said. Brownsville commissioners likewise approved moving forward with talks on the MPO merger. District 1 Commissioner Ricardo Longoria Jr. said while the process has a ways to go, the resolution is a positive step forward. He said the Harlingen City Commission also voted on a resolution in support of the merger, and Cameron County leaders will now look to McAllen to keep the momentum going. One project that could benefit from the merger is the East Loop, he said, which has been in the development process for about 30 years. The road will divert commercial truck traffic away from International Boulevard and connect to the Port of Brownsville. Cameron County would have three representatives on the regional MPO Policy Board made up of 23 members, according to the proposed terms and bylaws reviewed by Cameron County commissioners. Brownsville would also have three members, and Hidalgo County would have the most with five. Harlingen, McAllen and the TxDOT Pharr District would each have two members on the board. The Cameron County Regional Mobility Authority, Hidalgo County Regional Mobility Authority, Edinburg, Mission, Pharr and Valley METRO would each have one representative. More cities could be added to the Policy Board when they reach a population of 50,000, according to the proposed terms. While there’s no guarantee the current MPO regions would end up receiving more money due to the merger, he said they won’t get less funding.